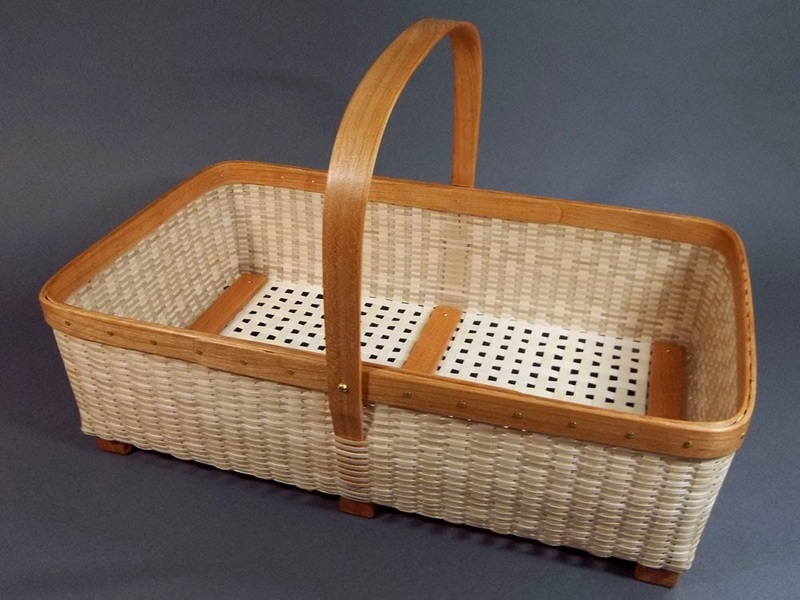 The Cottage Organizer is woven of brown ash with a cherry base, rims and dividers with integrated handle. 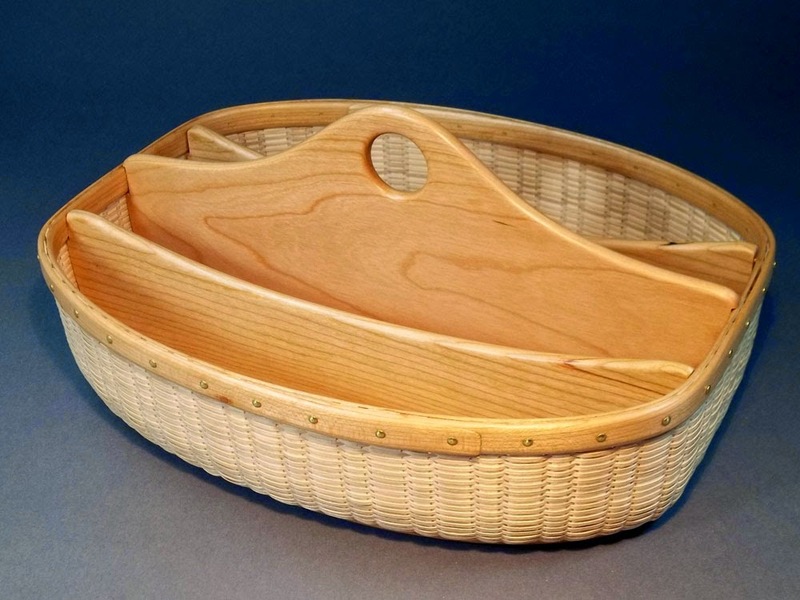 This beautiful basket, is great for many uses, from sorting letters to dinnerware. 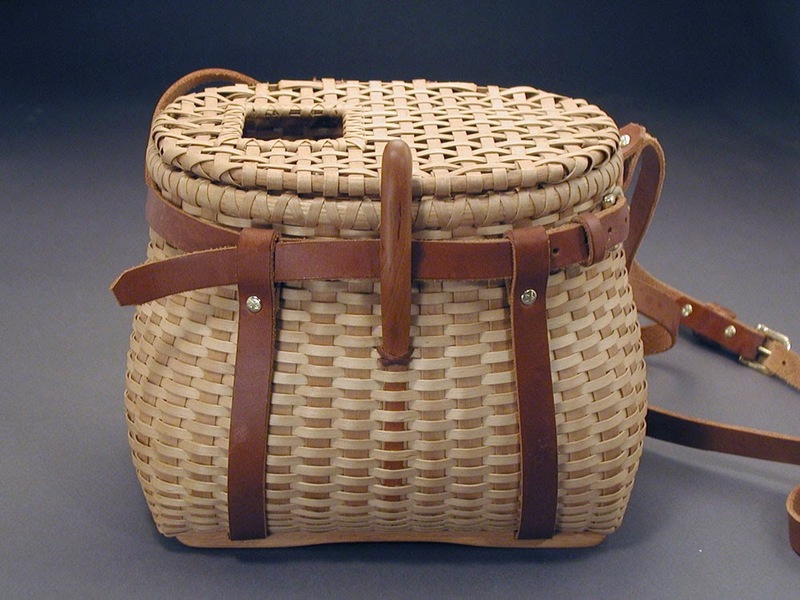 New for 2014, the Cottage Gardener is woven of brown ash with cherry handle, rims and skates. The skates are not only decorative, they also act to lift the basket and give it a firm stature.